Supriya G. Mohile, M.D., M.S. As a geriatric oncologist, I devote my time to trying to improve care delivery and outcomes for older adults with cancer. At the Wilmot Cancer Institute, we have one of the country's few geriatric oncology clinics. Our team -- Specialized Oncology Care and Research in the Elderly, or SOCARE -- is recognized nationally and internationally as providing the most comprehensive, evidence-based model of care for patients aged 70 and over with cancer. My philosophy is to focus on the patient as a whole, not just the cancer. For this reason, we employ a multidisciplinary approach to the care of every patient. This includes an assessment of overall health status and input from nursing, physical therapy, occupational therapy, pharmacy, nutrition and social work, whenever appropriate. Over 60% of patients with cancer are aged 65 and over, and with the aging of the population, this number will increase. Despite the high prevalence of cancer in older adults, patients who are older are underrepresented in clinical trials. As a result, there is a gap in knowledge in the safest and most effective cancer treatments. Through evidence-based clinical practice and research, we hope to close this gap. Supriya Gupta Mohile, M.D., M.S. is an Professor of Medicine and Surgery at the James Wilmot Cancer Institute at the University of Rochester. She is Director of the Geriatric Oncology Clinic. She is a board-certified geriatrician and oncologist with clinical expertise in treating patients with genitourinary and gastrointestinal cancers. A graduate of Pennsylvania State University, she earned her M.D. at Thomas Jefferson Medical School. She completed internship, residency and fellowships in hematology/oncology and geriatrics at University of Chicago Medical Center, where she also earned a master's degree in health outcomes research. Mohile's fellowship was funded by an American Society of Clinical Oncology and John Hartford Foundation initiative to train oncologists in the care of older patients. Mohile's research interests include the evaluation of patterns of care, health outcomes, and quality of life related to treatment for systemic cancer in older patients.. She is working also to develop clinical trials for older adults with cancer and to identify interventions to reduce treatment morbidity. Supriya Gupta Mohile, M.D., is a Professor of Medicine and Surgery. She is a board-certified geriatrician and oncologist with clinical expertise in treating patients with genitourinary and gastrointestinal cancers. As the Director of Geriatric Oncology, she has developed a robust clinical and research program in geriatric oncology at the University of Rochester Medical Center as part of the Wilmot Cancer Institute. A graduate of Pennsylvania State University, she earned her M.D. at Thomas Jefferson Medical School. She completed internship, residency and fellowships in hematology/oncology and geriatrics at University of Chicago Medical Center, where she also earned a master's degree in health outcomes research. Mohile's fellowship was funded by an American Society of Clinical Oncology (ASCO) and John Hartford Foundation initiative to train oncologists in the care of older patients. 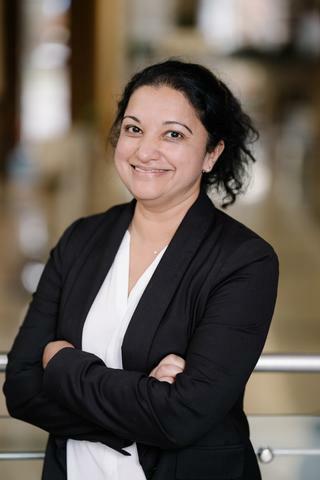 Mohile's research interests include the evaluation of patterns of care, health outcomes, and quality of life related to treatment for systemic cancer in older patients. Her early research was funded by a Hartford Geriatric Health Outcomes Research Award and a GEMSSTAR award from the NIA. In 2013, she was awarded a Patient Centered Outcomes Research Institute Award and a NCI R01 to evaluate whether geriatric assessment can improve outcomes of older patients with cancer. She directs the Specialized Oncology Care & Research in the Elderly (SOCARE) geriatric oncology clinic at the University of Rochester/Highland Hospital and is an integral member of the University of Rochester NCI Community Oncology Research Program (NCORP) Research Base which is directed by Drs. Gary Morrow and Karen Mustian. She leads the Cancer Care Delivery Research (CCDR) efforts in the Research Base and sits on the CCDR Steering Committee at the NCI. Dr. Mohile is an expert in geriatric oncology with over 130 publications in this area. She serves on the editorial board of the Journal of Clinical Oncology and is the Editor-in-Chief of the Journal of Geriatric Oncology. She was the Chair for the ASCO Geriatric Oncology Task Force and the ASCO Geriatric Oncology Clinical Guideline panel. Her contribution to moving the geriatric oncology field forward is noted in her leadership with developing research priorities and guidelines. "Best of ASCO (American Society of Clinical Oncology)"
Mohile SG, Dale W, Rostoft S. "Special issue to honor and remember Dr. Arti Hurria: Call for papers for the Journal of Geriatric Oncology." Journal of geriatric oncology.. 2019 Feb 1; Epub 2019 Feb 01. "NCI Clinical Trials Planning Meeting for prevention and treatment of chemotherapy-induced peripheral neuropathy." Journal of the National Cancer Institute.. 2019 Jan 31; Epub 2019 Jan 31. "Immune Checkpoint Inhibitors in Real-World Treatment of Older Adults with Non-Small Cell Lung Cancer." Journal of the American Geriatrics Society.. 2019 Jan 30; Epub 2019 Jan 30. Author List: Magnuson A, Mohile S.
Author List: Lycke M, Pottel L, Boterberg T, Mohile SG, Braine E, Debruyne P.